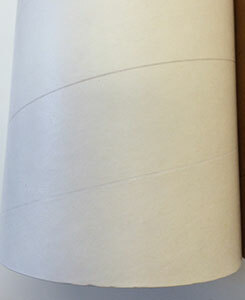 I've used many different body tube materials over the years, each of which have their plusses and minuses. In 2015, MAC Performance Rocketry opened its doors selling tubes made of canvas phenolic and the Fall I purchased and built their Sky Scraper kit. Those who've spent time on these pages know that I'm a fan of phenolic tubing and turn to it first for most projects. It's easy to work, light weight and has good wear properties so I was excited to see a new phenolic material enter the market. 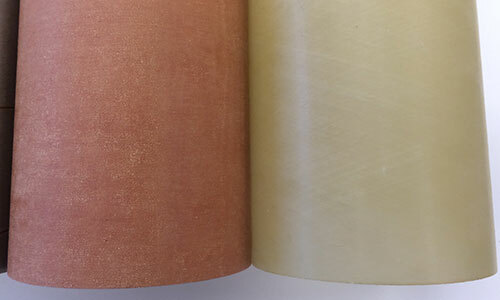 I decided to compare the five types of phenolic (now including MAC canvas phenolic) along with Loc/Precision paper and fiberglass tubes. This means all tubing is close to 1/16" (1.7mm), but varies widely in weight and strength. 3.9" ID tubing is probably the most common size in high-power rocketry, and I had many samples laying around, so that's what I compared. ¹ The units here are grams per foot (yes, that's a strange unit). ² The thickness is not uniform, varying from 0.052 to 0.065" in my sample. See this very interesting table on the mechanical properties of various tubes (at least for one manufacturer): Accurate Plastics Sheet Comparative Data Chart. The spiral grooves in many tubes require filling, some more than others. The grooves in Loc/Precision tubes aren't too bad and can usually be filled with a single application of filler, but the grooves in phenolic and especially MagnaFrame are wider and deeper. MAC Performance phenolic and all fiberglass tubes have no grooves at all. Above you can see the lightest (Loc cardboard) and the deepest (GLR MagnaFrame) grooves. Above you can see the paper phenolic tubes (PML on the left and GLR on the right). Above you can see the vulcanized phenolic tubes (Blue Tube 2.0 on the left MagnaFrame right). And finally the tubes with no grooves at all (canvas phenolic on the left and fiberglass on the right). Paper tubes are great for mid-power rockets, but I feel they aren't durable enough for larger high-power. I don't think the problem is with axial strength, but with resistance to dents and friction. 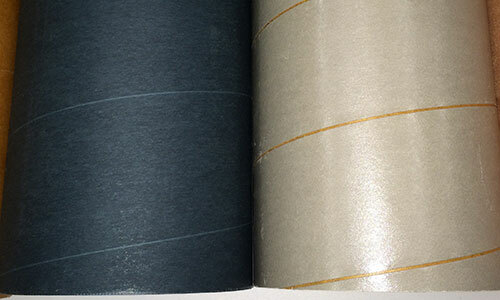 The surface strength can be improved a lot with a fiberglass wrap, which also fills the grooves. The Blue Tube 2.0 is thinner than MagnaFrame but weighs the same so must be denser. 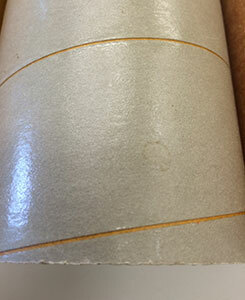 It also has much lighter spiral grooves (about the same as the Loc cardboard) so is easier to finish. The MAC Performance "canvas phenolic" seems stronger than other phenolic. For example, it takes much longer to drill a hole. 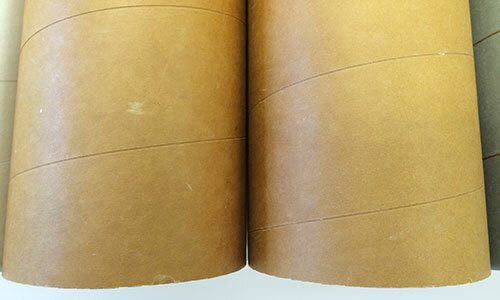 In terms of brittleness, it falls closer to the PML end of the spectrum and feels a lot more solid than flexible phenolic and the vulcanized paper phenolics. Phenolic is a great material for airframes since it can be worked with ordinary woodworking tools and it's wonderful that we now have five choices. I'm not sure where I got the fiberglass tube, but the tube from Rocketry Warehouse seems to be similar. There are fiberglass tubes from several vendors which have a much thicker wall, so be sure to check the specs before you buy.